Cost v Environmental cleaning no longer need to be the worry with our new Price Promise. Whether you have offices, a car show room, a medical surgery, run a school or just want your home cleaned, we are sure most responsible people would prefer to be as environmentally friendly as they possibly can. However there is always a BUT. And this comes in the form of the COST. Historically sadly it is an accepted fact that if you choose to go down the route of an eco friendly cleaning service you will increase your cost often quite considerably as a combination of additional product costs and frankly because it is trendy and therefore used as an excuse to charge more. While there are some additional costs involved in eco cleaning rather than chemical, we have found it hard to understand how much more expensive many within the industry can expect customers to pay. So at Visionclean Eco we are challenge this with our Eco Price Promise by offering our Cost versus Environment cleaning challenge to all businesses whether big or small. At our end by using our Price Match we make it no more expensive for your business to clean green. This means we do NOT go around loading our charges to reflect the concept of Environmentally friendly cleaning. 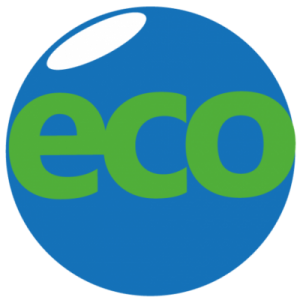 Instead our Eco Price Promise focuses on reviewing your existing cleaning practises to minimise any extra cost by creating efficiency improvements, but without compromising cleaning standards. To achieve this we have researched and tested a large range Eco products to find the ones most suited to, minimising the impact to the wider environment and are most effective ,which therefore reduce the cleaning time commonly associated with eco cleaning and also reduce the effect of bacteria and allergens on our customers staff too. All you have to do is give us the opportunity to do an Eco quote for your business, when your cleaning contract comes up for renewal. Then we will provide you with a competitive, but importantly an eco-clean quotation, that if successful will allow you to move this part of your business/costs into the new modern era of environmentally conscious businesses. You can even advertise to your staff and customers that you are now a green clean company with all the benefits this brings. And carry that badge on your door for all to see. We are keen to support businesses who want to move to an environmentally responsible cleaning policy!